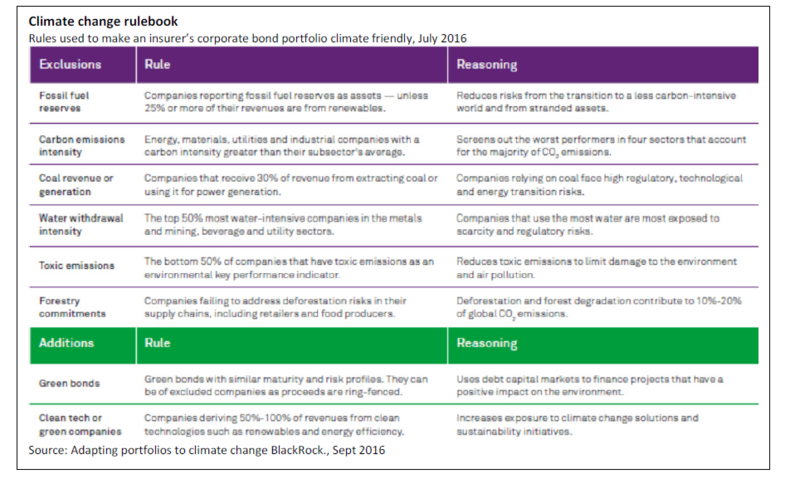 BlackRock, the world’s largest private investment fund, has announced that it will include climate change as an important factor in how it assigns risks to its investment portfolio, writes Fereidoon Sionshansi, president of Menlo Energy Economics and publisher of the newsletter EEnergy Informer. According to Sionshansi, this decision has huge implications for the energy sector. You might say BlackRock does not mince words. 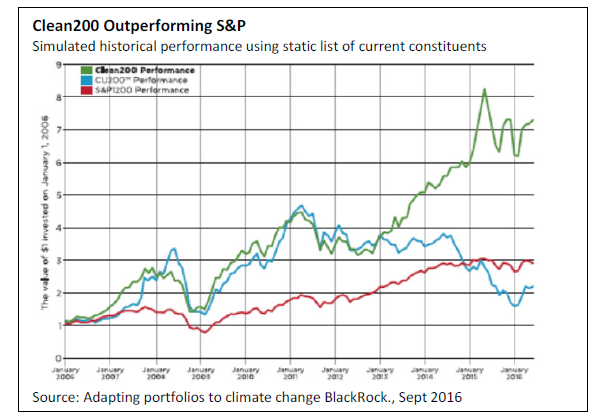 Moving forward, BlackRock said it will specifically include climate change as tangible factor in how it assigns risks to its investment portfolio. This, indeed, is a big deal and a tipping point. 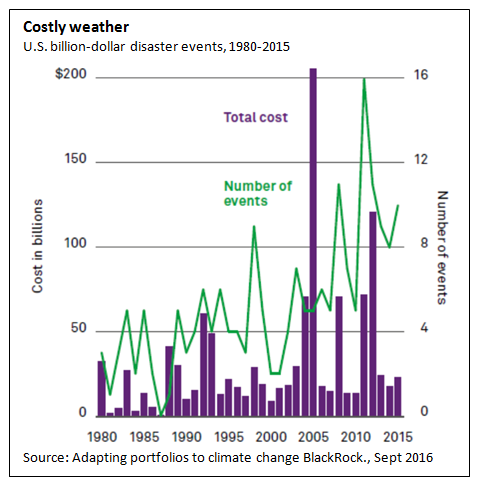 Investors and insurers are beginning to experience the impact of a warming climate, for example, in the frequency and severity of climate-related storms. 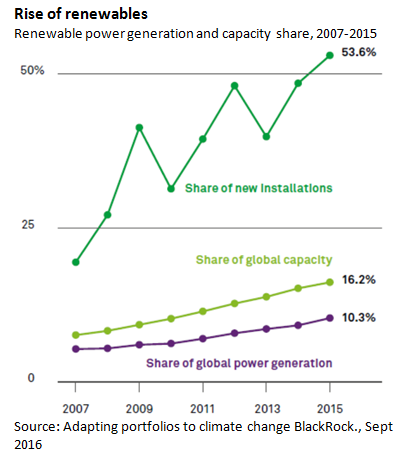 This means that for all its investments BlackRock will consider to what extent any enterprise is exposed to climate risks, whether it is climate-proof, or if it may gain from climate change. The implications should be obvious to anyone in the energy sector, in fact, all sectors of the economy since energy is a major input to nearly anything that is extracted, transformed, manufactured, transported, or consumed. 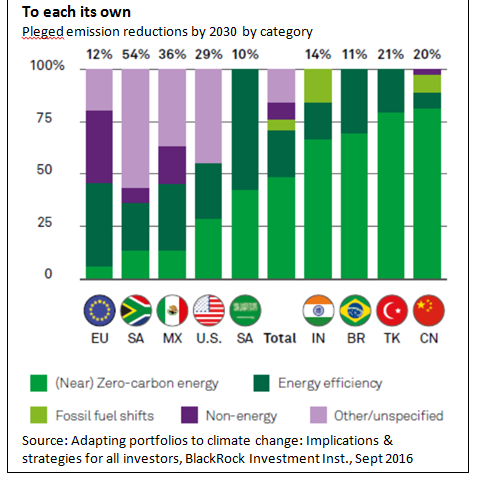 Assigning a price to carbon, already a reality for companies with long-term investment exposure, is likely to apply to virtually all. And regardless of whether the company applies a price or not, the investment community – such as BlackRock – is likely to do so. 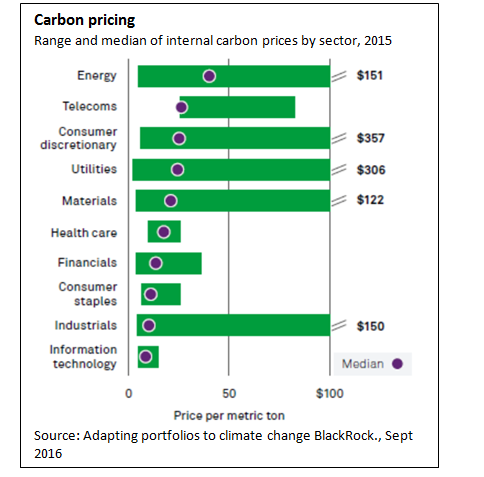 Today, there is no consensus on what the carbon price is, leaving individual companies to assume prices over a wide range. As time goes on, perhaps more clarity will emerge as to what the appropriate price may be. These are among a number of compelling reasons for the investment community to seek further clarity and consistency in how exposure to carbon and climate change are factored in. In places where cap-and-trade or carbon trading schemes are already in place, such clarity will emerge sooner than in other places. BlackRock, of course, is not the least interested to scare away investors. On the contrary, it has decided that the time to sit on the fence and merely talk about climate risk has come to and end. Investors crave clarity, security and transparency above all. And if major funds such as BlackRock can offer these, they will find a receptive audience as the science and the art of assigning risks to various industries and enterprises evolves overtime. Already, a number of organizations are beginning to offer ratings of companies based on their environmental record or carbon exposure. One such example is the Carbon Clean 200 list prepared by Corporate Knights and As You Sow. They claim that green and clean companies have in fact outperformed the broader market over the past decade (visual below). If that is indeed the case, it would encourage more investors, and managed investment funds, to migrate to cleaner companies with less risk exposure to climate change, diverting capital and financing from dirty, polluting companies. The pressure on carbon-intensive businesses has only begun and it will intensify over time. Ignoring the carbon/climate risks is no longer optional. This article was first published in the October 2016 edition of EEnergy Informer, published by US-based energy expert and author Fereidoon Sionshansi and is republished here with permission.